"Ottolenghi is a truly engaging writer, with each dish a story to be read." Yotam Ottolenghi (Author) Yotam Ottolenghi is a cookery writer and chef-patron of the Ottolenghi delis and NOPI and ROVI restaurants. He writes a weekly column in The Guardian's FEAST magazine and has published seven Sunday Times and New York Times bestselling cookbooks: PLENTY and PLENTY MORE (his collection of vegetarian recipes); OTTOLENGHI: THE COOKBOOK and JERUSALEM, co-authored with Sami Tamimi; NOPI: THE COOKBOOK with Ramael Scully; SWEET with Helen Goh; and OTTOLENGHI SIMPLE with Tara Wigley. Yotam has made two 'Mediterranean Feasts' series for More 4, a BBC4 documentary, 'Jerusalem on a Plate' and his hugely popular 'Simple Pleasures' podcast. ottolenghi.co.uk. @ottolenghiRamael Scully (Author) Ramael Scully - Scully - was born in 1979 in Malaysia to a mother of Chinese and Indian heritage and a father with Malay and Irish blood. He moved to Sydney at the age of eight, with his mother and sister, where he went to school and then later to catering college. After several years cooking in Australia, Scully moved to London and started working at Ottolenghi Upper Street in 2005. 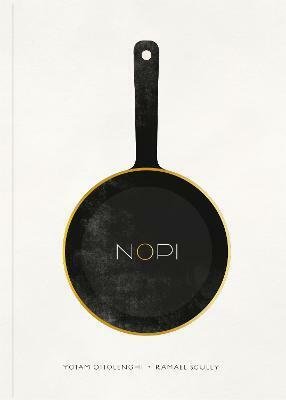 He moved to the NOPI as head chef, when the restaurant opened in 2011. Scully's distinct culinary baggage - the Malaysian flavours of his childhood, his training in the European tradition, his insatiable appetite for Asian ingredients - has been the creative force behind much of what is on the NOPI menu.